Free tickets available now at the Missouri Theatre Box Office. This contemporary civil rights icon first garnered national attention for her daring act of peaceful disobedience in June 2015. Following the brutal murder of nine black parishioners at Mother Emmanuel Church in Charleston, South Carolina, Newsome climbed the flagpole at the South Carolina statehouse and pulled down the Confederate Battle flag as a protest against racist symbolism. Her arrest galvanized public opinion and led to the permanent removal of the flag. As a recognized and celebrated voice on the topics of injustice and racial discrimination, Bree brings to light the importance of leadership development in building and sustaining social movements. Also an accomplished filmmaker and musician, Newsome skillfully outlines the relationship between activism and art, and captivates audiences as she describes in cinematic detail the heroic gestures of ordinary people on the front lines of activism. Join the MU Celebrates MLK Committee for a screening of the Bakari Sellers film “While I Breathe, I Hope.” The film will be followed by a discussion and questions and answers with Associate Professor of Art History James A. van Dyke and Associate Professor of Journalism Ron Stodghill. This event is free and open to the public, and tickets are available at the Missouri Theatre Box Office. Instructors, lecturers, coaches and faculty are invited to pledge minutes of teaching time during the months of January, February and March with a goal of clocking a total of 1,968 minutes per college, unit or division. Our vision is to create space for students to learn about, reflect on or challenge their thinking about Dr. King — as a theologian, philosopher, politician and as an important point of reference for understanding civil rights, human rights, race and social change. If your service to our community includes presentation or instructional time with students, you can be part of this effort! In the spirit of collaborative teaching, consider sharing minutes. Work across classrooms, departments and disciplines to invite speakers, watch documentaries, start book clubs, take field trips, read speeches. There is no specified format for participation, and we encourage innovation in teaching and pedagogy. 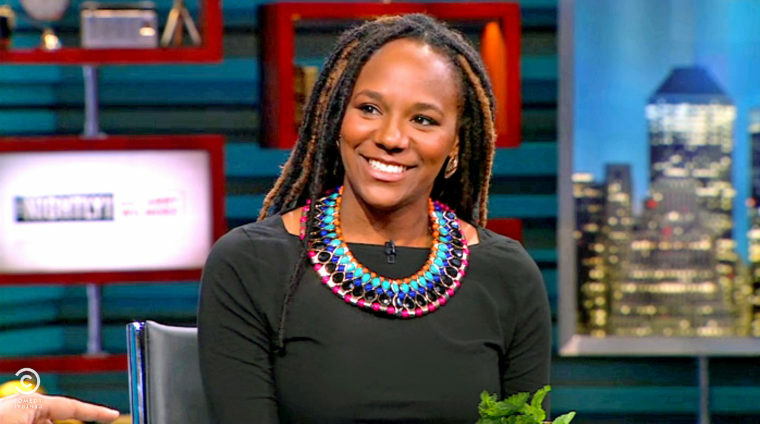 Participating instructors/faculty and colleges with the highest pledged minutes will have their names listed on our website, and 10 teach-in participants will win a ticket to the VIP reception with Keynote speaker Bree Newsome, in addition to a copy of the book Charleston Syllabus: Readings on Race, Racism, and Racial Violence written by Chad Williams, Kidada Williams, and Keisha Blain. Please pledge your minutes by Jan. 18, 2019. Thank you for joining the 2019 Mizzou MLK Day celebration and committing to teach about Dr. Martin Luther King, Jr.’s philosophies and activism! Established in 2007, the University of Missouri Dr. Martin Luther King Jr. Award recognizes and affirms those in the Columbia community who have made significant tangible contributions in the areas of race relations, social justice and human rights. Each year, the planning committee selects a Boone County resident or group to receive this award in recognition of extraordinary leadership and inspiration in furthering the goal of achieving greater cultural and ethnic diversity in the community. The award will be presented during the annual campus celebration commemorating Dr. King each January. The deadline to apply is 11:59 p.m. Dec. 1, 2018! Both individuals and advocacy groups may be nominated, but nominees must be residents of Columbia or Boone County. Nominees must not include MU faculty and staff. Nominees should be an individual who or organization that has made significant contributions in building a sense of unity among Columbia citizens. Nominees must work in the area of promotion and developing a mutual respect, understanding and appreciation for the cultural and ethnic diversity within our local and extended community (outside the university academic community). Nominees should have demonstrated ability in building local communities through various activities and programs that help to revitalize areas and make Columbia a more wholesome and desirable place for living, learning and loving. Nominees should have been personally or corporately involved in making tangible, visible, and meaningful contributions to the advancement of race relations, social justice, and/or human rights causes. In recognizing the personal commitment and example that Dr. King stressed and discussed in his speeches for academic achievement, nominees should have demonstrated a personal commitment to scholarship and/or attainment of educational goals despite significant barriers or obstacles (learning disabilities, poverty, etc.). Dr. King was known to challenge his followers to pursue excellence through a commitment to life-long learning. This dream still exists and nominees should demonstrate this desire. Nominees should demonstrate specific accomplishments in reducing barriers that have hindered under served groups from attaining academic excellence. Specific activities or accomplishments could include, but are not limited to, mentoring, tutoring, innovative pre-school programs, highly effective pre-college programs, provision of scholarships, etc. Special consideration will be given to the nominees who provide children access to the tools of technology and incorporate effective parental involvement. The heart of the award is to recognize individuals who give their time and service freely to those in need without question, often without recognition. This award seeks to honor those who promote Dr. King’s legacy and attempt to make a difference in the lives of others through selfless service. Winners should stand as role models for others to emulate. The planning committee invites you to help sponsor our annual event. The program is free and open to all MU campus and community members as an annual celebration and commemoration of the life and work of Dr. Martin Luther King Jr. The program is intended to engage our community in ethnic interaction that is positive, educational and entertaining. This event includes the presentation of the Dr. Martin Luther King Jr. Community Award and a featured nationally recognized speaker. Past presentations have involved people from diverse professions with rich, personal experiences such as New York Times columnist Charles Blow; scholar and activist Dr. Angela Davis; American Legal Scholar Patricia Williams; and actor, television producer and writer Larry Wilmore. Sponsors will be recognized in event materials which are distributed throughout the university and Columbia community. Benefactors are also acknowledged at the event, in the published program, and on our website. Please consider sharing your support by contributing funds to this annual event. The Dr. Martin Luther King, Jr. commemorative committee is comprised of University of Missouri faculty, staff, undergraduate and graduate students, and Columbia community representatives. We seek to engage our students, campus and greater community in interaction that is positive, educational and entertaining. Men and Women of Color, Honor and Ambition (MOCHA and WOCHA) 2019 Conference will be held Friday, May 3, at the Hamption Inn & Suites in Columbia, Mo. Mindy Scheier will present with the Margaret Mangel Lectureship Series from 11 a.m.-noon April 18. The lecture is sponsored by the Division of Inclusion, Diversity & Equity and the Disability Center.